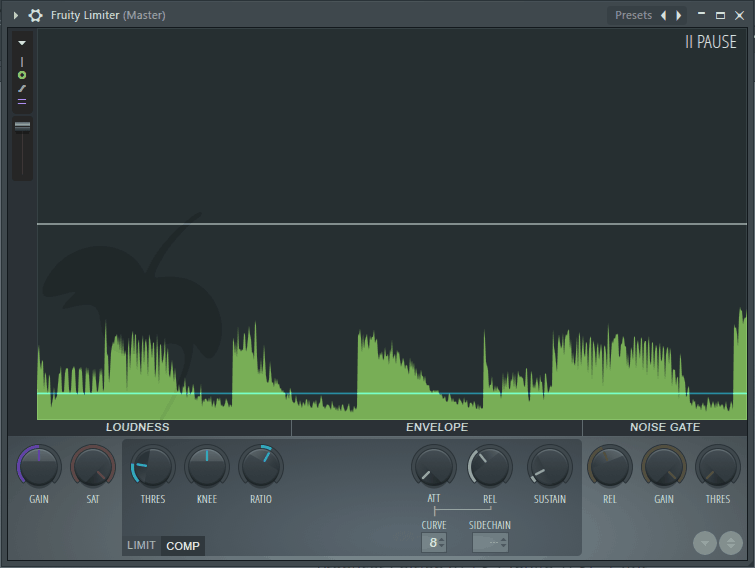 Dynamic range compression sounds scary. Almost like some kind of horrible disease or ailment. Fortunately, the concept isn’t as bad (or confusing) as it sounds. Compression is a form of dynamic range control, and an important topic in signal processing, audio engineering, acoustics, and music production. Let’s break it down! If you’re not a nerd, you may fall asleep reading this. But I’d argue that knowing these things will help you understand compression and other dynamic range control methods. Do not read while driving or operating heavy machinery. Dynamic – describes something that changes with time. Audio signals and sound waves by nature are considered “dynamic” because we can describe them using waveforms that vary their levels very quickly as time passes. Range – the difference between a minimum and maximum. Decibel (dB) – unit of measure used to describe a ratio of the difference between two values. A decibel is meaningless without a reference value. With no reference value, there can be no difference, and therefore no ratio to measure. The decibel scale is logarithmic and works differently depending on what it’s measuring. If we’re measuring sound intensity level (dB SIL), a power quantity, our dB scale will be different than if we’re measuring sound pressure level (dB SPL), a root-power quantity. The dB in your mixer is yet another “type” of dB called full-scale digital decibels (dBFS). In the dBFS scale, the maximum is 0 dB, and everything else is a negative value such that 50% of the max value is -6 dB. However, the logarithmic relationship is the same as in dB SPL. Loudness – according to Wikipedia, this is the perception of sound pressure level (SPL). Loudness is subjective to the listener, but it is closely correlated to sound pressure level. Dynamic range is the ratio between the largest and smallest amplitude value of a signal. In digital audio engineering, dynamic range is the ratio between the quietest and loudest parts of a continuous sound, and it’s measured in dB. Take a look at the the digital audio signal above. Let’s pretend it has a minimum level of -27 dBFS and a maximum level of -2 dBFS. That makes it’s dynamic range equal to 25 dBFS. OK, now that we have an understanding of the basics, we can understand compression. 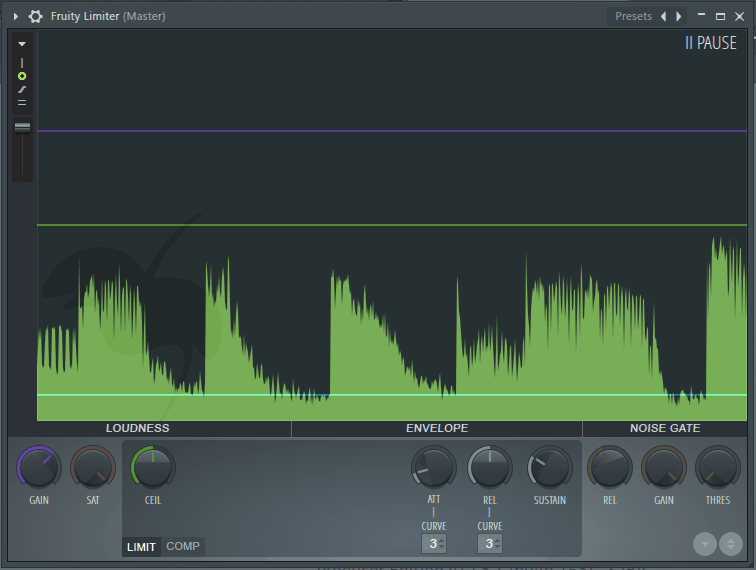 Compression is just one of a few forms of dynamic range control, and a fancy way of saying “lowerering the dynamic range” using a piece of signal processing equipment or software called a compressor. Compressors take the parts of the signal above a certain threshold decibel level, and reduce their amplitude by a set ratio. Everything above the threshold (including the loudest part of the signal) is shrunk down, and everything below the threshold is left unchanged. If we lower the loudest part, and leave the quietest part unchanged, then by definition, we’ve just reduced the dynamic range of the signal. We can see a compressor in action above. 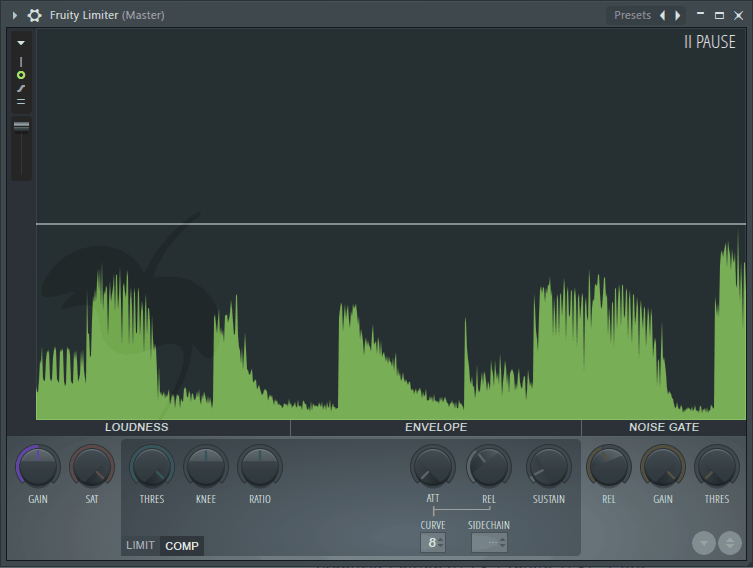 This compressor only works on signals above -60 dBFS. I set the threshold to -17.4 dBFS and the ratio to 3.2. This means that everything above -17.4 dBFS is reduced by a factor of 3.2. In other words, the signal above the threshold is 3.2 times smaller. The purple that appears is what the original uncompressed signal would look like. We can see the peaks have been reduced while the bottoms well below the threshold remain unchanged. This has lowered the dynamic range of the signal. The most common application of dynamic range compression in audio is to make quiet parts of a track or composition louder. You may be saying to yourself, “Well we just shrunk down the loud parts, and we left the quiet parts the same. That won’t make anything louder. What the f*** are you talking about?” And that’s where we introduce makeup gain! Compression without makeup gain is like toast without butter. Makeup gain is used after the compression is applied to increase the gain of the entire compressed signal. When applied correctly, this will then make the quietest parts louder than they were in the uncompressed signal. Let’s see what applying makeup gain to a compressed signal does. In the next image, I set the compressor threshold to -22 dBFS and the ratio to 1.5. We can see the peaks have shrunk down, but the quiet parts remain at the same level as expected. Now, we’ll add makeup gain by turning up the GAIN knob. 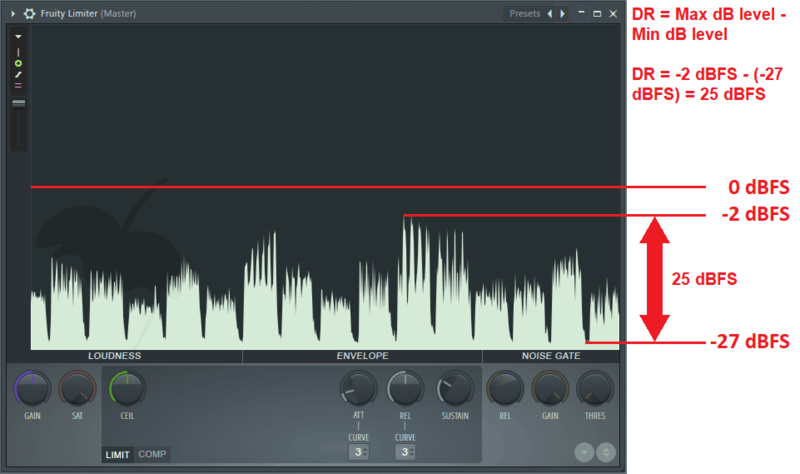 We want the gain to be set in such a way so that the maximum peak level of the compressed signal is at the same level or close to the same level as it was before any compression was applied. We can see how the quiet portion below the threshold has been raised up to create a fatter waveform. It may not look like much, but remember we’re working in the decibel scale here. A change in just 6 dB will sound twice as loud! This quiet part is actually the reverb on some violins and snares I have in the track. The bass (yes there is bass, for all who are using smartphones) kicks a little harder and snare and violins also sound a little louder. The crystal/bell reverb sounds slightly fuller too. Check it out. The topic of compression tends to rough a lot of feathers in the music production world. Some use it on everything. Some don’t use it at all. I personally like to find a happy medium. I’ll use it lightly a couple of times on different Mixer tracks, usually one on my drum bus, and one multi band compressor on the Master bus. I do believe over reliance on compression to make your mix sound “good” or “louder” is generally a bad thing, because usually the issue can be resolved without using compression by using better or proper mixing techniques. Anyway, my advice would and always will be to do what sounds right and works for you. If you find that slapping a compressor on every track works for you and your mixing style, and that’s what sounds good to you, by all means do it. If you prefer just one compressor on the master bus, do it, and own it. It matters less what you do the more you own what you’re doing.